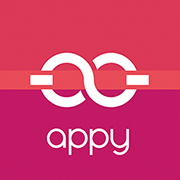 Right after you purchase and account with Appy, you are led through a few steps to build your site and account. The first of these is adding a Welcome photo, which you can change later, per the second series of steps in this article. Why is my welcome message not showing? Go to your Dashboard and click "Edit Sections"
Make sure the toggle is set to green for "Show"